School Your Friends, and Classmates with Trivia for Every Occasion! Get ready to tickle your brain and frustrate your friends with over 1,700 head-scratching trivia questions. Do you know how long it took to make Frozen? What about the average temperature on Mars? 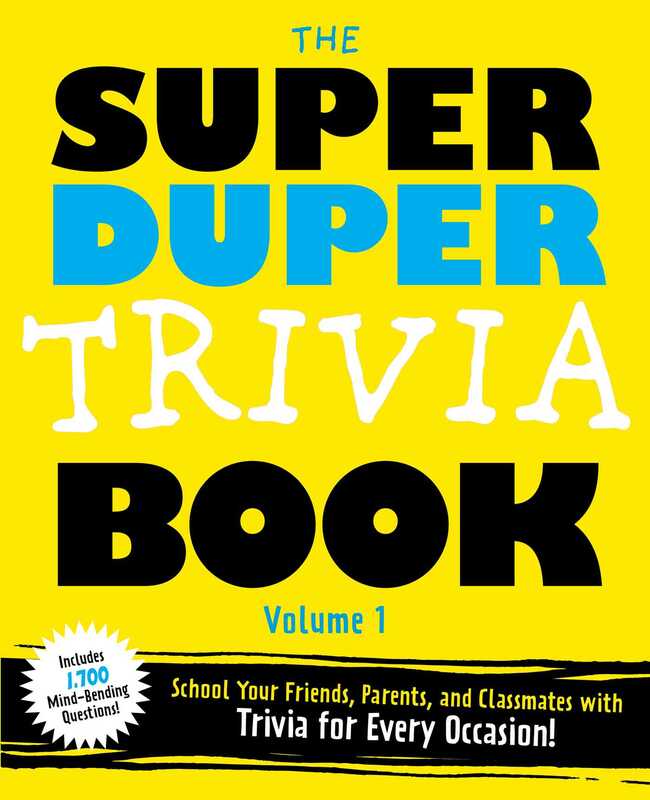 Get ready to exercise your brain and learn cool facts with The Super Duper Trivia Book Volume 1! Featuring amazing, kid-friendly trivia about everything from movies to animals and history, this fun and colorful trivia book is sure to make you a question master in no time. Packed with over 1,700 mind-bending trivia questions to tease your brain and frustrate your friends, this book is a must-have for curious thinkers and competitive learners of all ages.